Apple Pay to crush the competition? Not so fast! 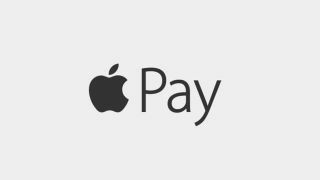 Will Apple change our payment ways? With Apple Pay, I believe the Cupertino-based company is going to do a better job than Google managed with Google Wallet, but I still don't think this system is going to go fully mainstream. It's true that Apple obviously has the advantage of users having one credit card linked to their Apple ID, so there's no barrier to having a wallet out of the box. However, the uptake in my opinion won't be widescale and that's for three reasons: security concerns from users, not enough stores having the facilities to use Apple Pay, and the fact that more and more people are actively looking to move away from centralised payment systems that rely on archaic banking systems and exorbitant fees to alternative currencies like Bitcoin. In my opinion, there's no way that Apple can switch consumer behaviour en masse as they managed with the iPod and iTunes. The iPod caught on because it was well designed and very simple – you bought the iPod and it worked, and that was it. With Apple Pay, there are too many middlemen involved – shops need the contactless payment facility in place, users need to upload their credit card data onto the phone, and the credit card issuers also need to support the technology. There's a lot more involved and I think that makes it less attractive and less accessible to the majority of users. Aside from the accessibility problem, the main issue I see stacked against Apple Pay becoming mainstream is that I believe we're moving towards a decentralised banking system. Apple Pay relies heavily on the centralised banks and credit card issuers. In my opinion, more people are waking up to the fact that cyptocurrencies like Bitcoin have several advantages over traditional banking and payment systems. There are no excessive transaction fees and payments are much easier to carry out. I also don't see retailers going massively out of their way to promote Apple Pay. There is a strong argument that using NFC and contactless payment methods will reduce a retailer's legal PCI requirements (meaning less cost for them), which is true, but unless every single customers starts using Apple Pay then they will still need to maintain and offer the traditional systems that come with the PCI legal requirements. So in reality, there is no saving to be made. The one big surprise for me came on the security front. I thought there would be immediate and obvious problems here, but based on all the information Apple has released so far, security with Apple Pay doesn't concern me at all. Cupertino is encrypting and tokenising the payment card data so the risk is far less than actually paying directly with a physical credit card. However, I don't think the casual user will see it that way – the iCloud hack was all over the news so I think users will have security concerns regardless of whether or not there are any that exist. Brandon Ackroyd is head of customer insights at TigerMobiles.com.